By default, customers will be taken to the page they were trying to access after they unlock your WooCommerce private store. So if they had clicked on a product called “My Cool Product”, then they will be shown this product after they log in. If you would prefer customers to be redirected to a different page, enter a “Store Redirect URL” on the plugin settings page. 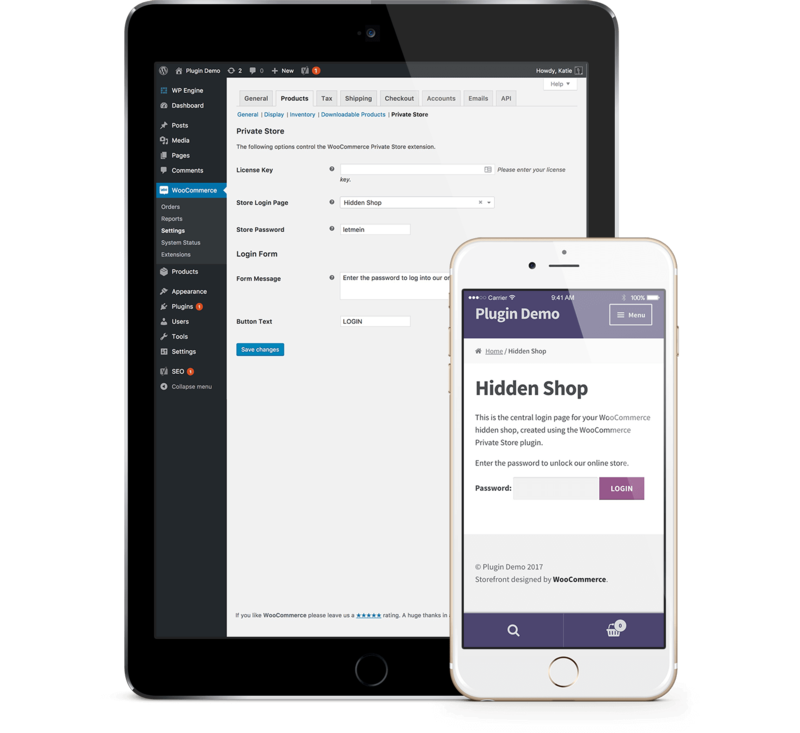 You can find this at WooCommerce -> Settings -> Products -> Private Store. On logging in, customers will then be taken to this link instead. The free Peter’s Login Redirect plugin is excellent. You can use it to add different redirect URL’s for each user or user role. Login & Register Redirect for WooCommerce also works well. Use it if you also want to redirect people to a specific page immediately after they register for the private store. By default, new users are taken to the Account page after creating an account – we think it’s much more user-friendly to redirect them to the Shop page.